Good evening everyone! I hope you are all having a great hump day! I am so ready to start my mini Less Than Jake/Beach Vacation!!! I have been counting down the days since December and it is finally here!!! 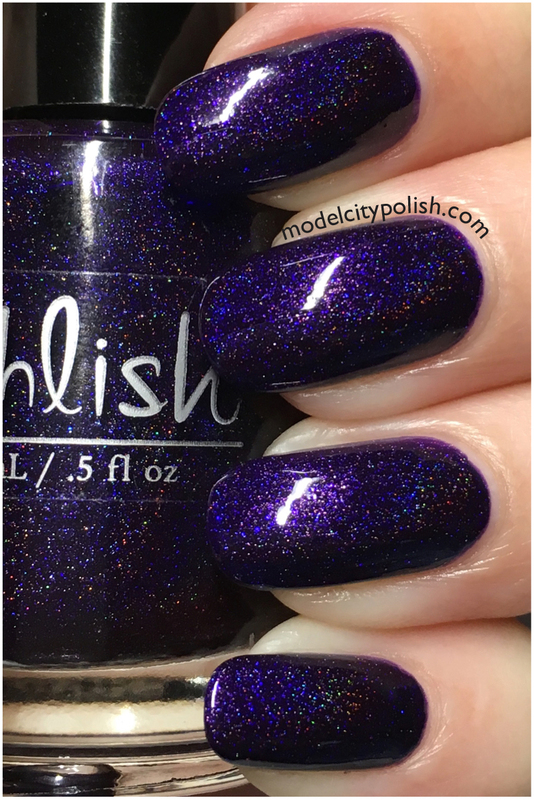 First though I have a stunning lacquer from Pahlish to share with you guys. 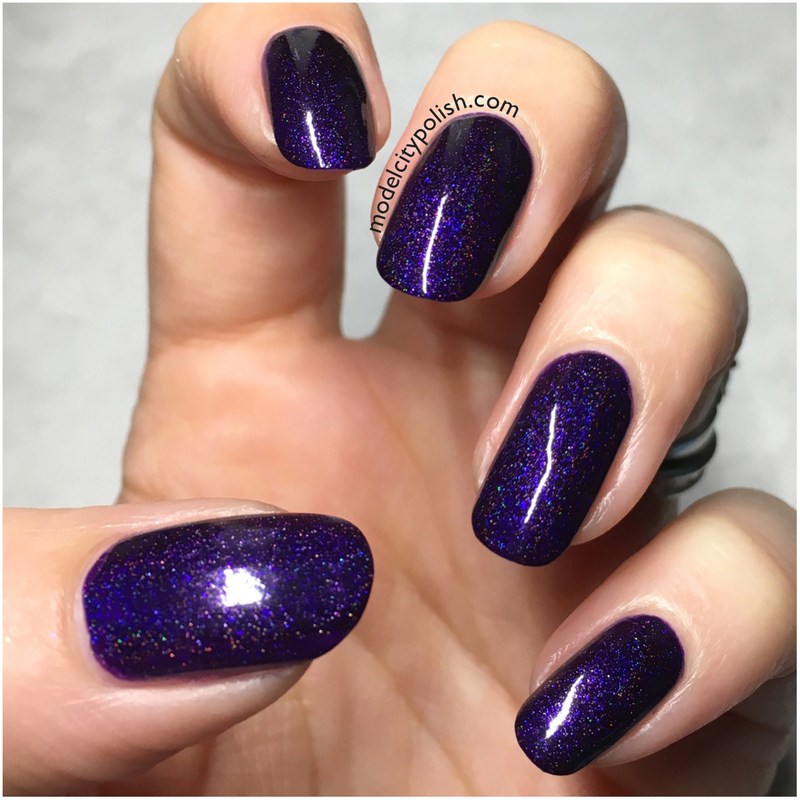 The Human Superpower is a gorgeous dark purple jelly blend with a holographic finish. This lacquer is stunning in person and was pure pleasure to work with. Application, formula, and coverage were all flawless. In my photos I am wearing just two coats of The Human Superpower. What do you guys think about this purple beauty? I LOVE IT!!!! Hands down one of my favorite purples!!! 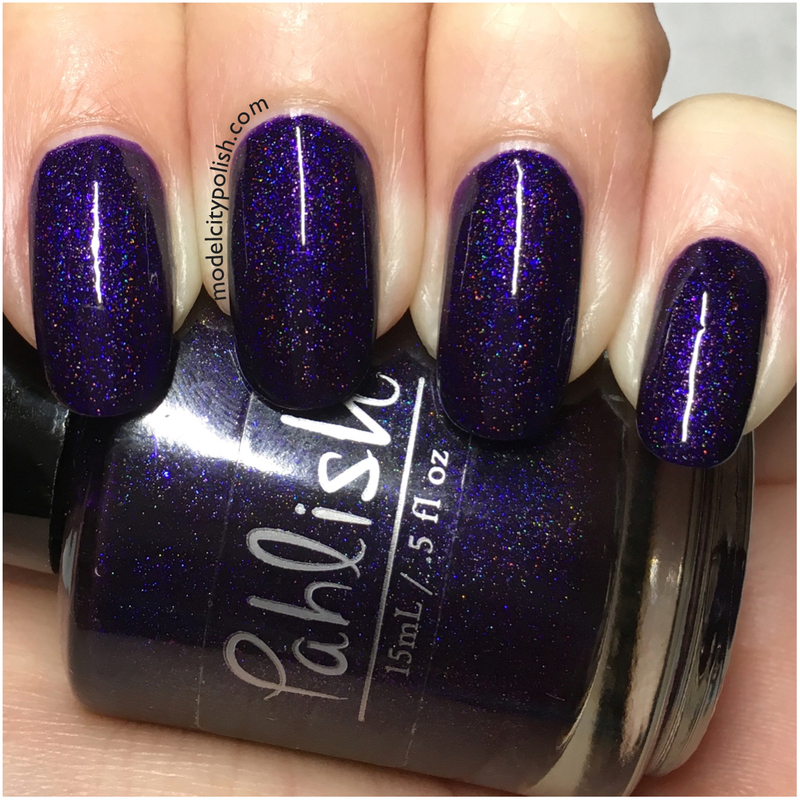 Be sure to check out the current line up from Pahlish and follow them on Facebook or Instagram so you don’t miss out on new lacquers. Thank you so much for stopping by today and I will see you all again tomorrow. Oh, wow. That is absolutely gorgeous! OMG this is so stunning. I need that shade in my life. I totally agree!!! The way it seems to glow is amazing! This purple is amazing. So rich! 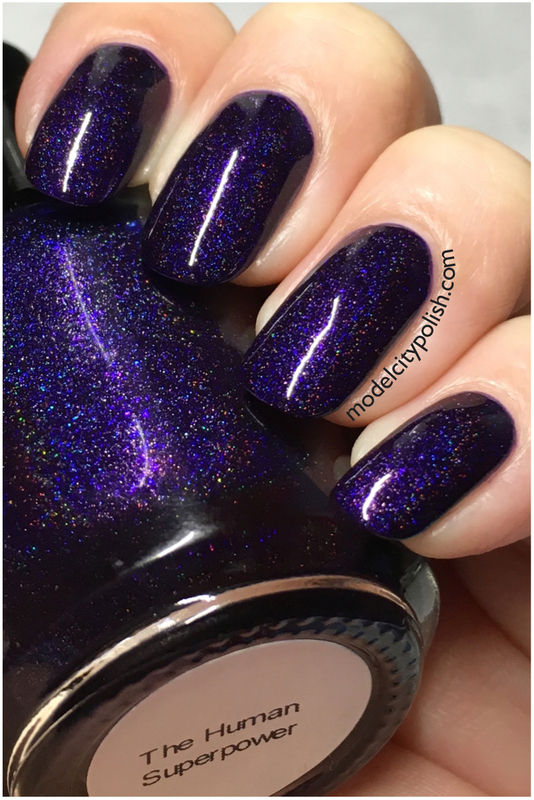 Purrrrrrple holo….drool! Why do you tease me so!? Do you think I could guy this in gallon size and paint my car with it? Because this is the perfect purple to paint my car! Oh WOW this is gorgeous! I love the blue flash in there under the holo! Rich purples like this are hard to capture. You did so beautifully! Agree!!!! I think I want to try adding some neon pink stamping! WOW. This shade is intense. Love it on you! It really is!!! In the sunlight it just screams!! !